Dogs are amazing and Frida is no exception 🐶! 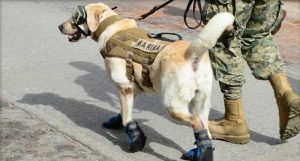 She’s been put to work to save people caught up in the recent earthquakes in Mexico 🇲🇽. 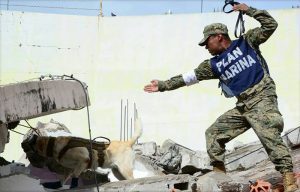 The fantastic Frida rescued 52 people ⛑️, including 12 people who were in life-threatening conditions after the 8.1 magnitude earthquake hit and devastated Oaxaca 🌎. People around the world have been praising Frida’s good deeds; even Mexico’s president posted a tweet thanking her for her hard work 🙌. And we couldn’t not mention how cute she looks in her rescue gear 🐾! Those booties are making us melt! Do you have an amazing pet 😮? Let us know about them in the comments below!